If you have a mini lathe machine then sooner or later you feel the need for a mini milling machine. The mini milling machine operation is pretty easy once you learn about everything. You can cut or make many work-pieces on the lathe, but still, it has some limitations when the piece is not cylindrical shape. So, the forms that you cut in lathe can be made in the mini milling machine. You can find different size and capacity of mini milling machines. There is an option for big professional sizes large capacity milling mashie like Bridgeport and some small for amateur works or hobbyist DIY works, like, Grizzly. The hand-wheel is mounted under the mill table perpendicular to the spindle. The table top offers a flat ground for work and is slotted so the mounting bolts can be inserted to clamp work to the stable ground. Frequently, milling vise is attached on the table using clamps, and work-piece is held in the vise. During any action, trim or anything the work-piece has to be connected to the table rigidly. This movement is controlled by the lead screw with the hand wheels. You can control it about .001 inch precision in both-axis. The calibrated collars situated on lead screw let the operator move the table in a particular direction and distances. Here is how mini-milling operations are done. Read and follow. Before starting the milling operation, a clean work-piece is taken and marked. Operators used a special marking dye and scribed using measuring tools to make guidelines for the work. The work-piece has been clamped in the vise of the mini-mill or on the table. A precise diameter of the end mill is mounted in the spindle and lowered until the tip is intimately contacting the work-pieces’ top surface. 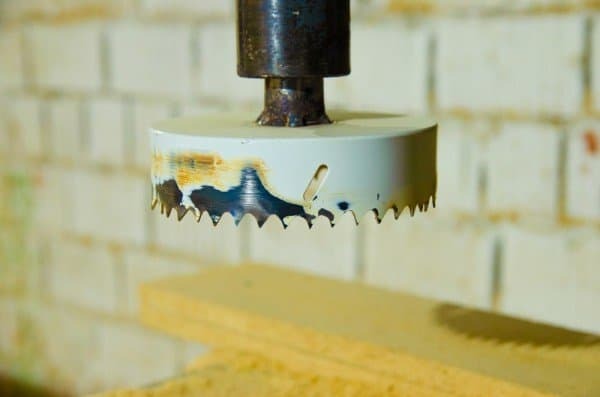 After that, the mill is turned one, and the cutting tool is lowered as long as it removes the precise amount of material per pass, typically that would be .001-.030. The work is radical past the rotating end-mill using X and Y axis hand portions to eliminate the level of the material. This method is repeated as many times until it reaches targeted dimensions or shape. The mini-mill also functions like a precision drill-press machine. It comes with a large portion or piece. And that can grasp twist drills up to half inches diameter. Familiarizing a lathe or drill press with this mini milling machine, it’s a hazard. First of all the drill press is quite light for milling and also not designed to withstand forces come from the spindle. However, you can perform some operations on the lathe by making a milling adapter. But it’s neither so safe nor practical. The range you get from the mill will not be reached here. Mill offers a good three axes movement range. Also, it allows you to quickly switch any lathe operations to milling operations without having to reconfigure the machine every time. Milling machine or “mill” is a cutting tool which cuts different size and shape of metal or wood pieces. It’s referred to Mill in short. The two verities of the milling machine are vertical and horizontal. The first one has a vertical spindle axis, and another one is a horizontal spindle axis. The parallel milling machine uses a different cutting tool that would not match the vertical device. The main rotary shaft of the mill is the spindle, and cutting tools are mounted in here. Vertical mills are as similar to a drill press supplemented by a work table. It can be shift side to side and front to back precisely. While working, the metal piece is tightly secured to the table by the clamp or hold in a vise clamped with the table. The cutting head rotates like a drill. It moves the table with the work-pieces and cut as the operator’s demand. During the process, the operator can lower the head for precise increments of a few thousandths of an inch to achieve the desired curve and cutting. The cutting tool mostly uses on mini-mills is the end mill. It looks a similar a stumpy twist drill with a flat and compact end. You can cut a work-piece with an end-mill either horizontally or vertically like the drill. The horizontal cutting needs a side of the end mill and imposes massive lateral forces on the tool. That is why when working with end mill; make sure it’s robust and able to hold the piece firmly. However, an end mill removes a layer of metal at depth than can be accurately controlled more/less .001” or one-thousandth of an inch. The spindle is mounted in the head casting of a mill. The end-mill adaptor or collet mate with the tapered socket of this spindle and grips it tightly in place with accurate centering on the axis of it. Meanwhile the head with other settings can be shifted up and down with a column. However, on the mini-mill, the coarse and fine movement controls are given. It locked in a place while the head is in the needed position before starting the main cutting work. The mini-mill also works as a precision drill press which comes with a large chunk which can grab twist drills up to ½” diameter. It does not have the throat depth and vertical limit that includes drill presses. Also, if you need to make one or few quick holes drill press is a better option from the mini-mills. However, for a bunch of professional work and precision mini milling operation is the best of course.